Posted in: Daily Posts. 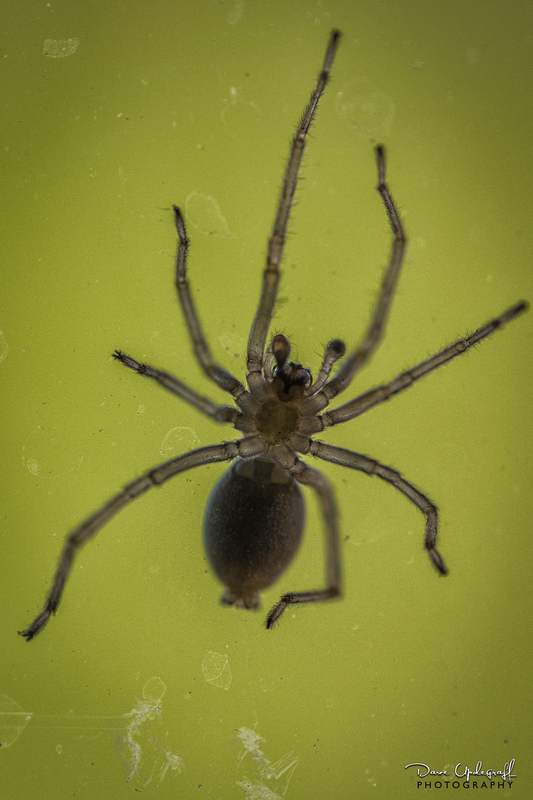 Tagged: Micro Photography, nature, Photography, spiders. I was trying to keep the new grass plantings moist so headed out the back patio door and saw this guy. 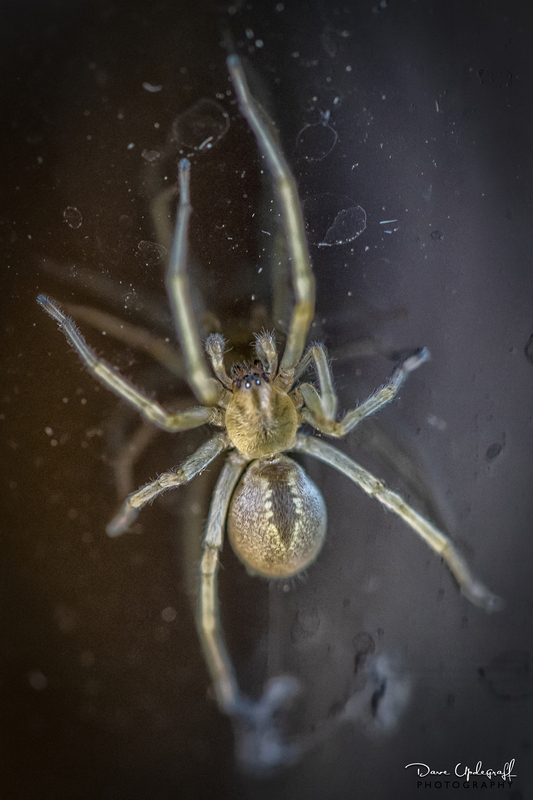 Went back got my camera, fitted it with a macro lens and photographed him from the inside and outside. Two things became apparent to me in post production. One, I need to clean the glass on the door and two, I should have set up the tripod. Too hard to get a tack sharp image with the macro lens without a tripod. Never seem to learn the basics.